Apparently, all my persistence with tuning up my band saw paid off. 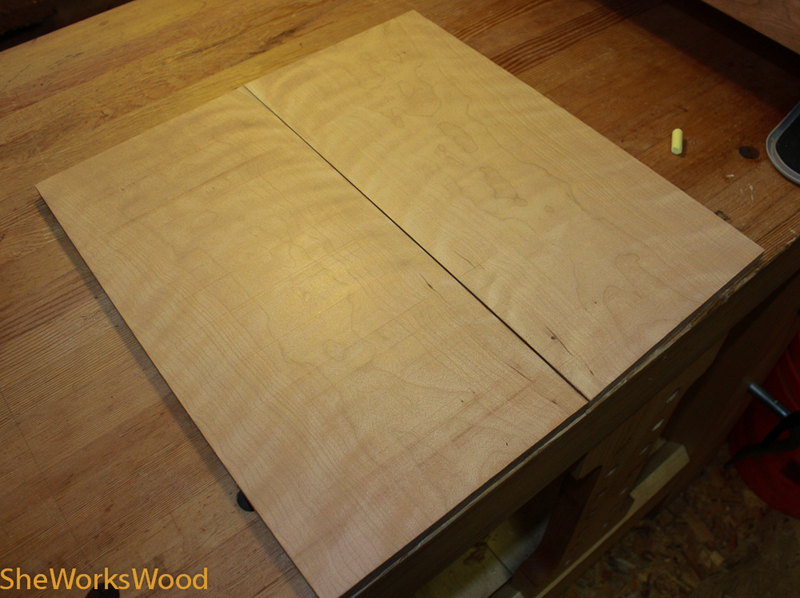 I was able to resaw my curly cherry door 8″ panels and this was the result. These should make some really nice panels.